Be it Classic or Contemporary, a Bouquet or Vase Arrangement. Choose your style so we can create the perfect gift for any occasion. We believe in creating wedding flowers that reflect the moment, venue, personality, style, and of course the dress! 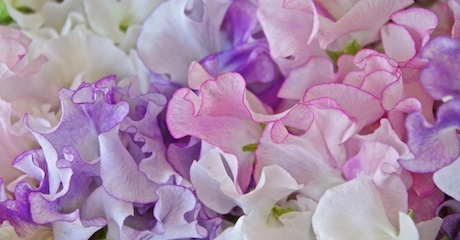 The Sweet Pea approach is personal and private. Our aim is to create a tribute that is sentimental, reflecting character and admiration. 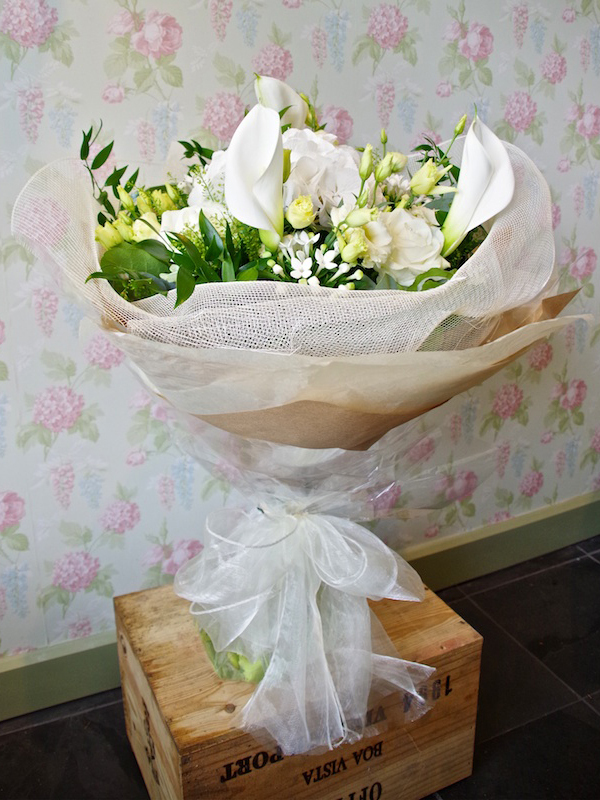 Sweet Pea Florist is located in the quaint village of Farnborough, Orpington, Kent. 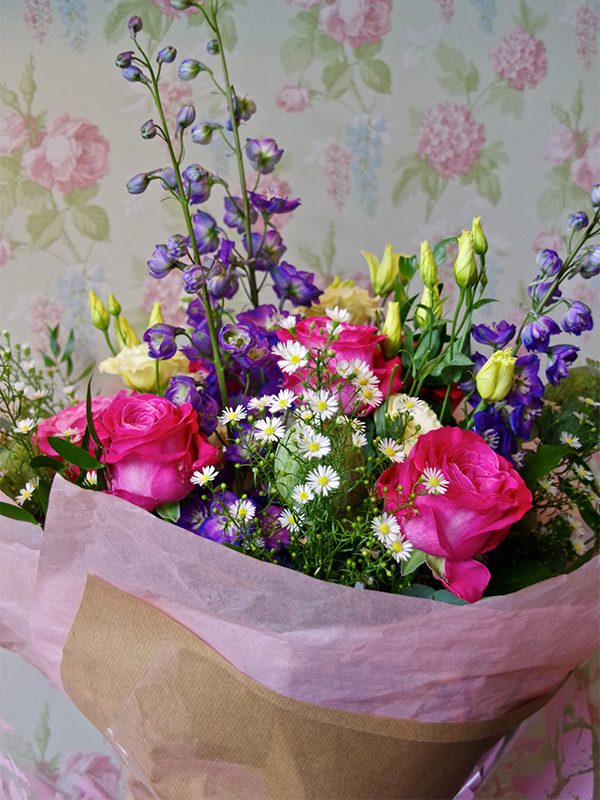 The bespoke florist offers an inviting, friendly atmosphere with a distinctly rustic, ‘English’ feel. Its vintage interior and attention to detail is emphasised by the variety of fresh cut flowers and the image the florist portrays by using these flowers at the highest level of creativity. We express our creativity in styles for all occasions and budgets. Each customer leaves with an experience that was personal, memorable and in some cases comforting. 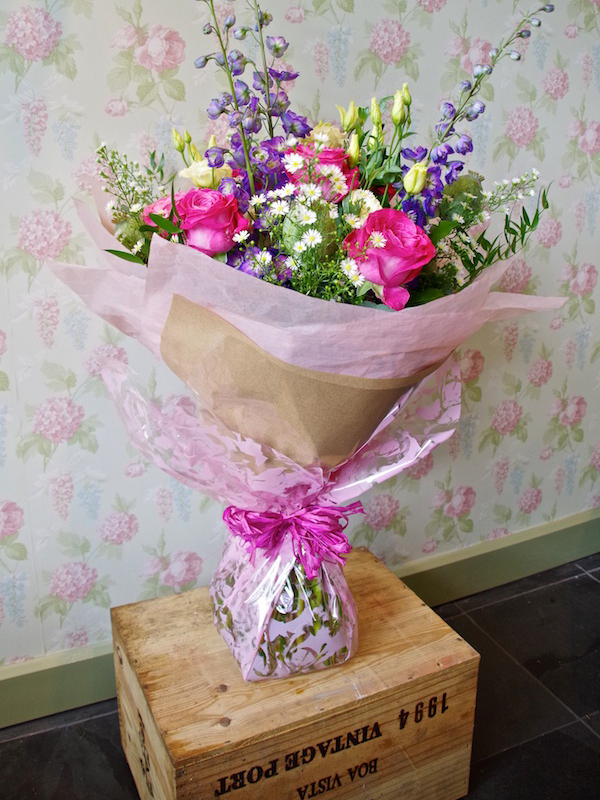 The Country Bouquet is comprised of flora that stereotypically reflects a traditional english garden. This bouquet is loose and less structured than others including dainty and delicate flora as well as a few predominate blooms. This style is simply beautiful. 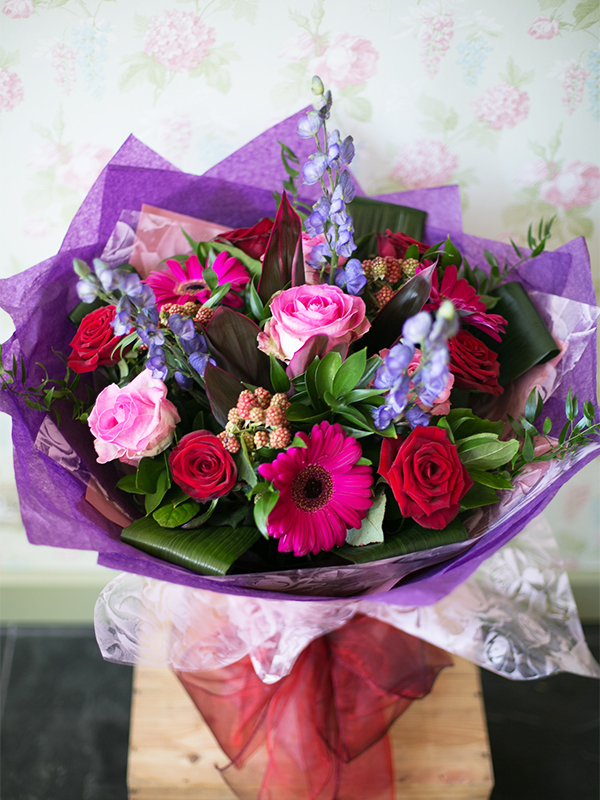 The Romantic Bouquet is an array of passionate and romantic colours. 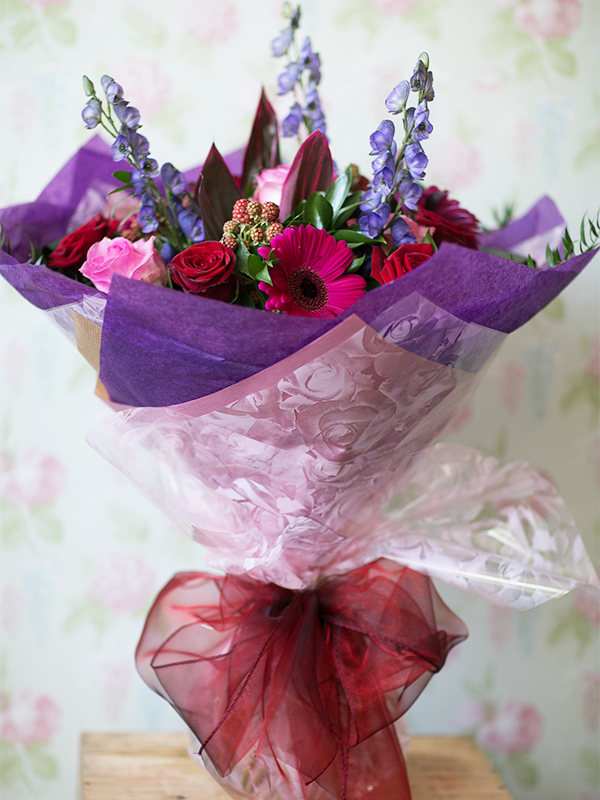 This style of bouquet is sophisticated and these distinctive colours mixed together look truly stunning. Suitable for occasions such as birthdays, parties and anniversary’s. The All One Shade Bouquet is eye catching and modern. Suitable for any occasion this contemporary and sophisticated style would make the perfect gift. 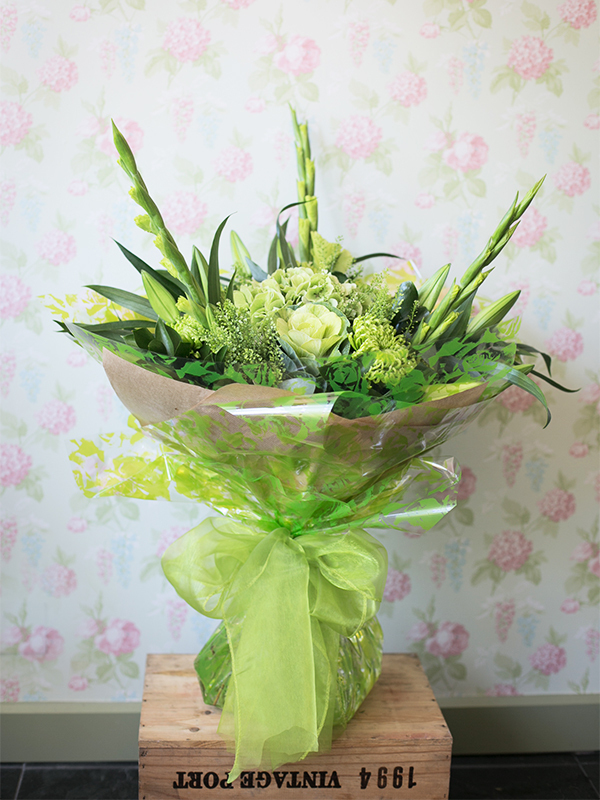 If you would like to order this bouquet in a shade other than the one shown please call us on 01689 639285. 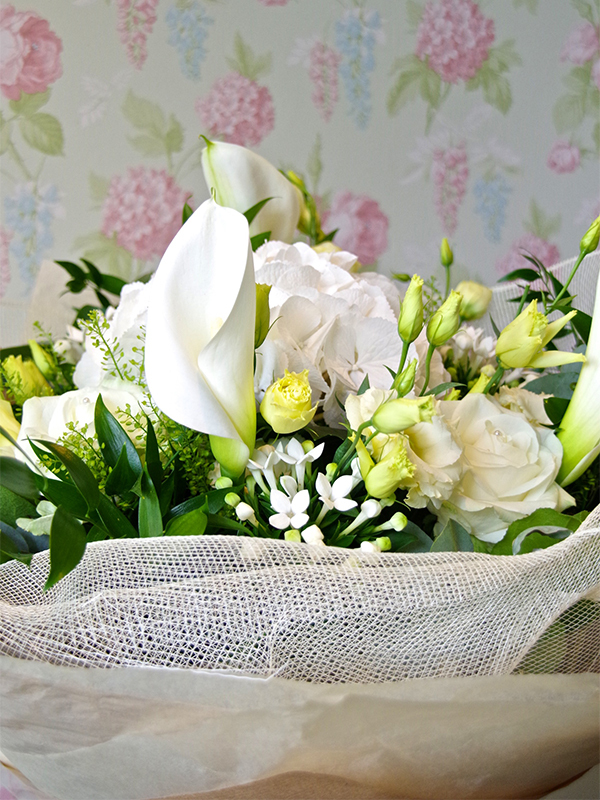 The Classic Bouquet is a timeless gift! 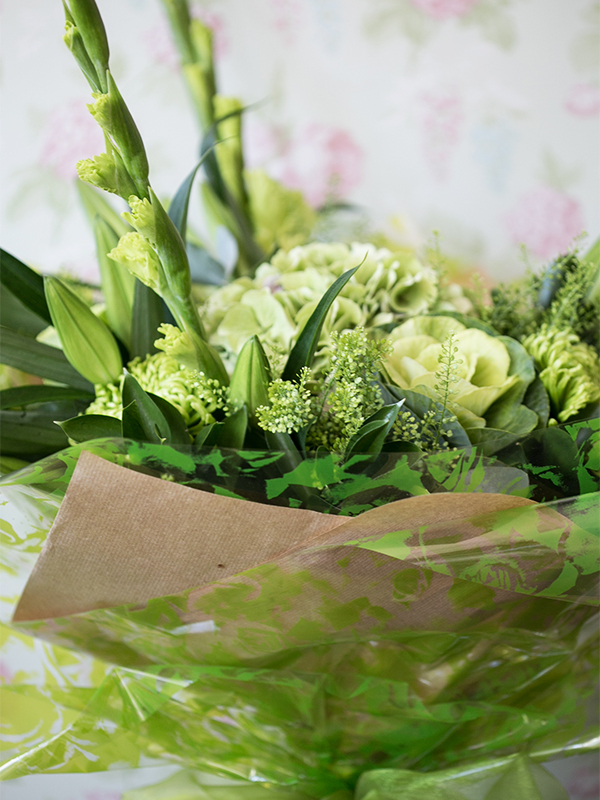 This fresh colour combination is one that will never go out of flora fashion. A selection of whites and cream is simplistic and beautiful. 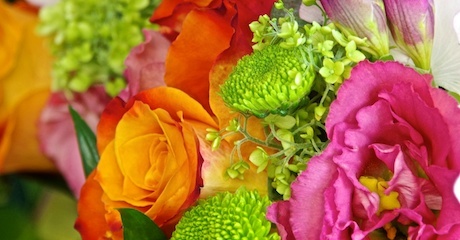 These tones create an image of elegance – a bouquet suited for every occasion. 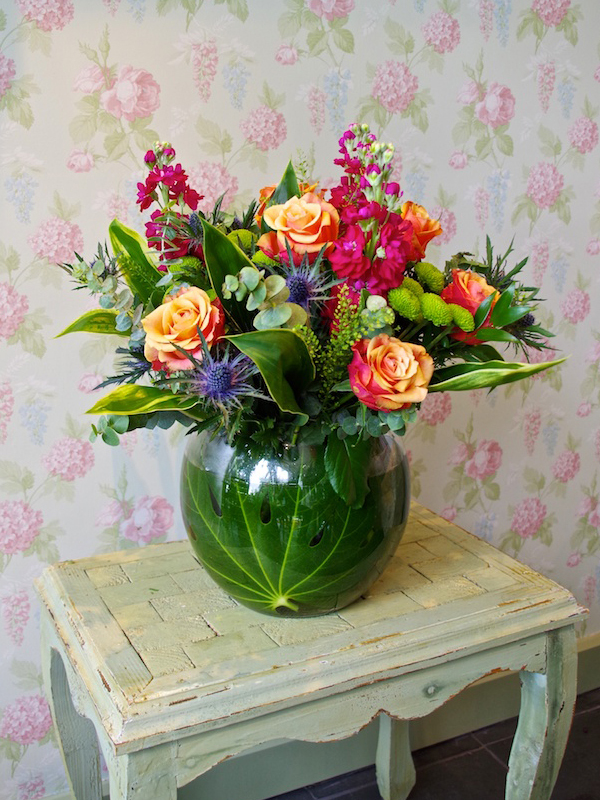 We have three examples of vases arrangements, our fresh deliveries and vast seasonal selections of blooms allows us to create unique personalised displays. 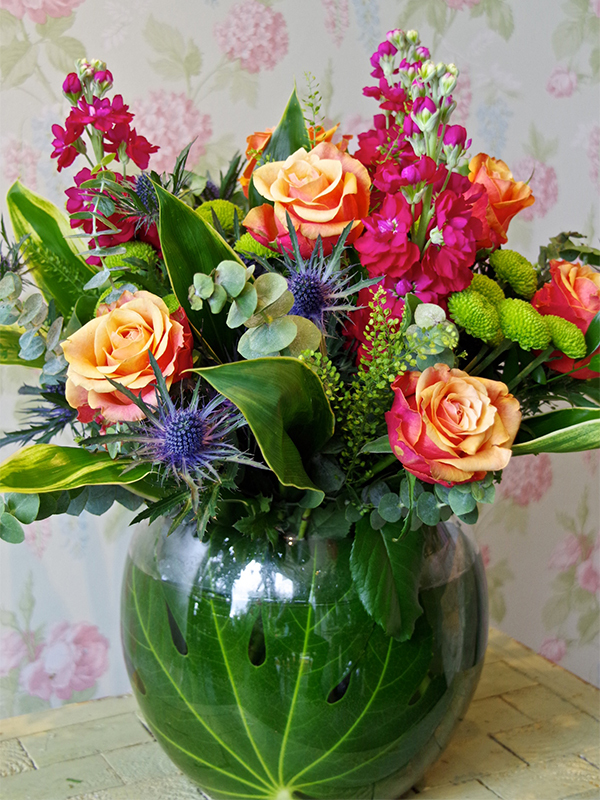 So when choosing a tall vase, fish bowl or cube you can select the flora style. Arrangements will not be replicas of the ones shown but of the same quality and to your specification. 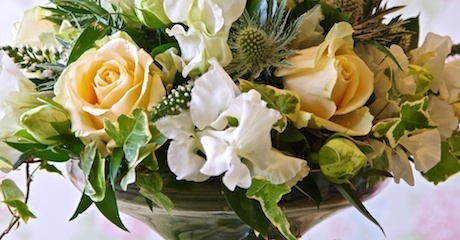 The all round arrangement makes the perfect gift for an admired centerpiece. 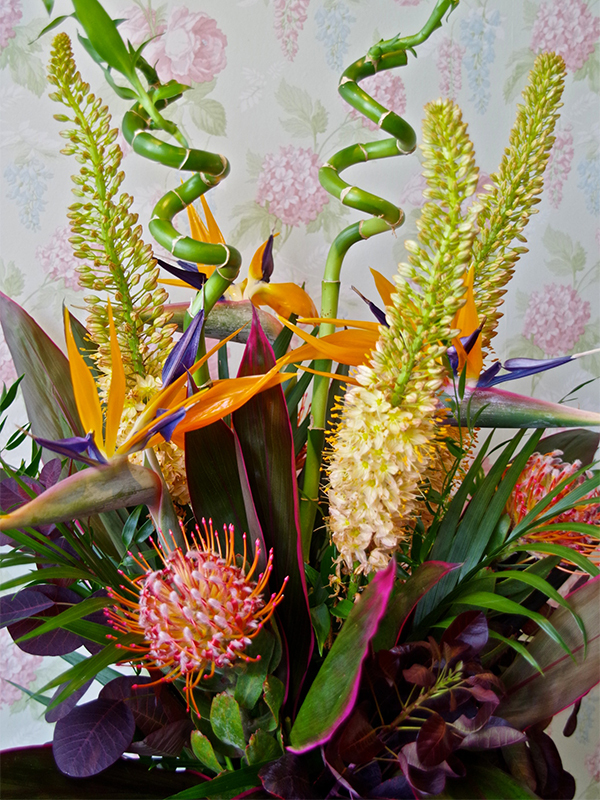 Please allow 5 days for the delivery of an Exotic arrangement, as Exotic flowers are not always in stock. 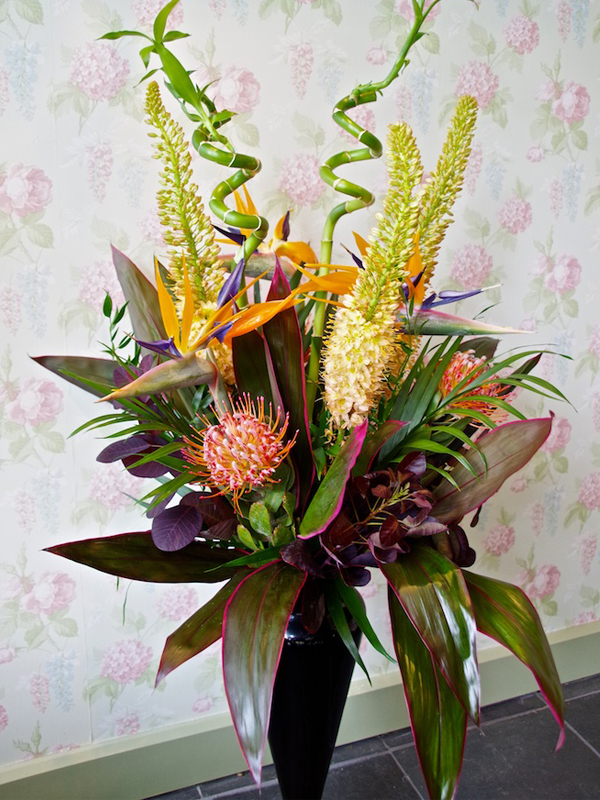 The tall vase arrangement will enhance any setting and look lavish in its surroundings.